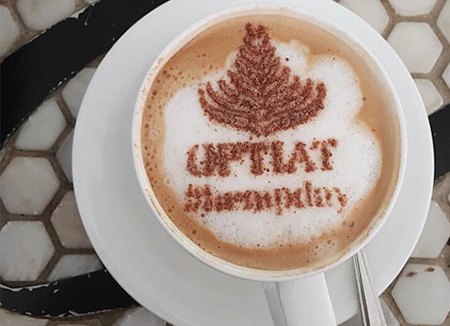 Anna Brightman, co-founder of Optiat – an innovative sibling-run skincare brand from London, discusses how the idea of repurposing ingredients into sustainable skincare came about. My brother William, the co-founder of Optiat, was bought a cafetiere for Christmas. He began making his own morning coffee and was alarmed at how many coffee grounds he alone was producing each day. Living in central London, with no garden on which he could use the waste grounds, he was simply throwing them away. This got us thinking about the coffee industry as a whole. What was everyone else doing with all of their coffee once they were done brewing it? It soon became clear that the vast majority of coffee is being sent to landfill where it rots and produces methane. Suddenly, the coffee grounds are not so harmless after all! We all love a cup of coffee, and the coffee industry is huge, but unfortunately, it’s pretty wasteful too. There is a common misconception that coffee waste is not an issue because it is a material that naturally biodegrades. However, in the quantities in which we are producing coffee and the ways in which we are disposing it, this is simply not the case and so coffee waste is a big problem. This was a problem we wanted to change. 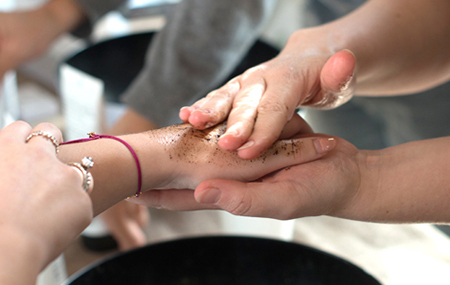 Having decided that we would tackle our problem by turning coffee waste into natural sustainable exfoliating coffee scrubs, we released our range ‘For the Love of Scrub’ in November 2016. After their immediate popularity it was clear we were on to something. 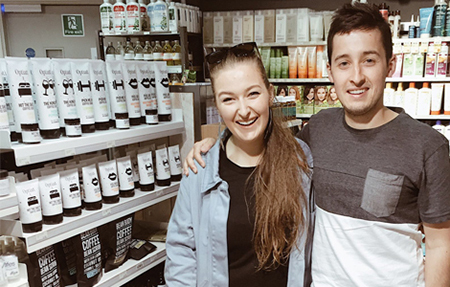 But coffee isn’t the only skin-loving natural ingredient which is going to waste and we wanted to create a full skincare range, so we soon began researching and sourcing the next ingredients which we wanted to rescue! The primary benefit of using ingredients that are by-products or considered waste products is that we save large quantities of high-quality skin-loving ingredients from being discarded. We promote a circular economy whereby each item is kept in use for as long as reasonably possible. For those who don’t know, our brand name Optiat is an acronym for “One Person’s Trash Is Another’s Treasure”. It is our focus on sustainability and making something out of nothing that we feel really sets us apart from the rest – and so this is what we will continue to do! We aim to show people that these unloved ingredients still have a huge amount to offer us. We will never compromise on our ethics and we will never compromise on the quality of our products. 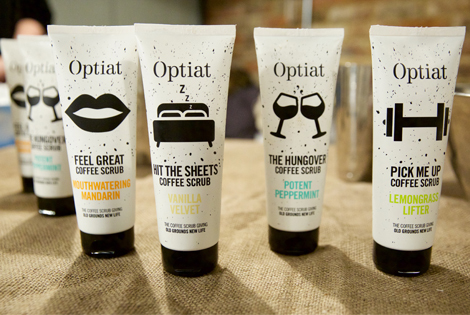 So what you can expect from Optiat is for us to continue to source and rescue skin loving natural ingredients. We will take these ingredients which were destined for the trash heap and breathe new life into them!